The Hôtel de Glace offers a contemporary twist to life in the Far North. Inspired by Inuit igloos and the snow forts of childhood, it brings together nature and city living. Since it opened its doors in 2001, the Hôtel de Glace has wowed over half a million visitors from January to March. From the moment you enter the ice hotel, you'll be treated to an amazing spectacle of beauty made entirely of snow and ice. A majestic icy sheen chandelier dominates the main lobby and is a signature piece of the hotel. 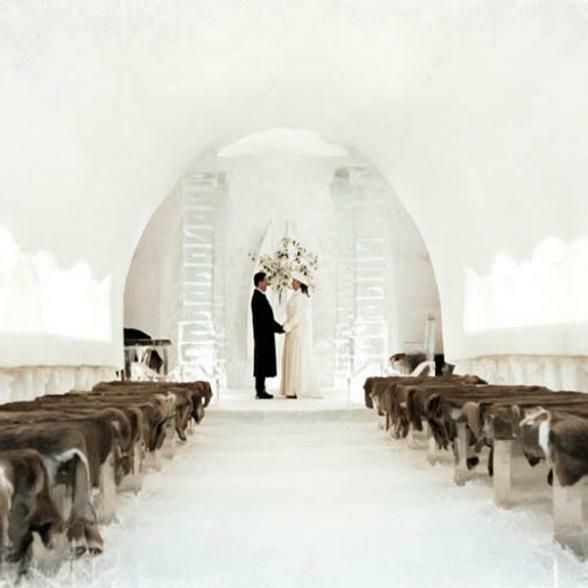 Snow archways towering over 5 meters tall and crystal ice sculptures stand by the warmth of the fireplace, giving North America's only ice hotel a name for itself not only through its architecture and artistry, but also its warm hospitality. You can stay the night in one of 36 rooms and theme suites or visit for the day and learn all about how the Hôtel de Glace was created and what it's like to spend the night. The tour includes the popular ice slide and magnificent ice chapel where couples wed every year. 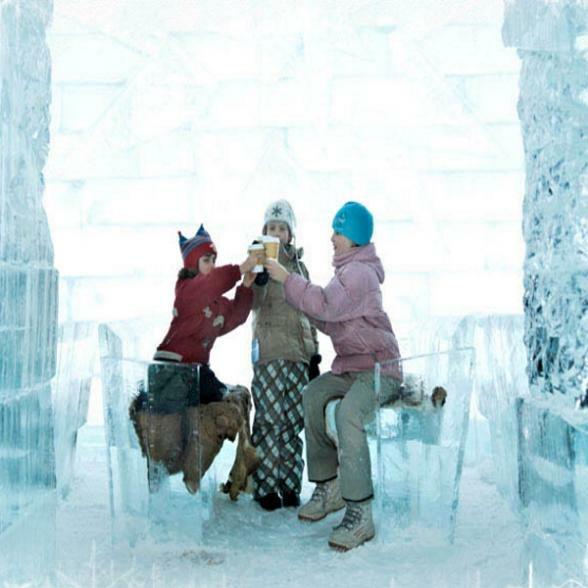 Round out your tour in the Ice Bar with a cocktail in a famous ice glass. Every year, the Hôtel de Glace is redesigned and rebuilt in its entirety. With time, it has evolved with the technical and artistic wizardry of its creators and continues to amaze winter after winter.